To help members more easily integrate fitness into their daily routines, Wellworks For You is pleased to announce the integration of its advanced wellness platform with Fitbit pedometer devices. This new upgrade automatically transfers real-time step data onto the Wellworks For You wellness portal. The portal will not only track and report on calories burned, but steps will be inserted directly into the Wellworks For You virtual pedometer program, Welltrek. The Wellworks For You wellness portal is as state-of-the-art as they come. The website is specially customized for each client, allowing employers to modify content, color schemes and logos. In addition to the vast flexibility of the site as a whole, the homepage of the portal is modular, allowing clients to create their own look and feel with videos, photo slideshows and shortcuts to wellness. Not only is the customization a way to draw employees to the site, but the interactive tools on the portal will encourage employees to stay on top of their health on a daily basis. A fitness and nutrition planner with tracking reports, a health metrics database, a Coach’s Corner for virtual health coaching sessions, and a wellness toolbox that stores health documents, health risk assessments and more. 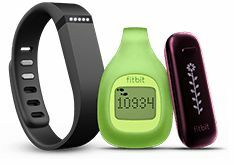 By offering Fitbit device connectivity with Wellworks For You features, employers offer expanded options and flexibility for employees, who can now take full advantage of the benefits offered through their employer’s corporate wellness program. The Wellworks For You platform is also compatible with other devices. In addition to Fitbit devices, participants can still use Wellworks For You’s extremely accurate USB pedometers, including the #1 rated Omron HJ-720 pedometer as well as our Smartphone App which works as a pedometer. These pedometers are designed for seamless upload to the member’s personal dashboard, compatible with both PC and Mac operating systems. Continued enhancements to its software features, tools, and social networking platforms are ongoing to support member engagement while ensuring that its platform provides flexibility to configure a unique solution to any one of its hundreds of corporate clients. Wellworks For You, headquartered in West Chester, PA. is a corporate wellness management company working with clients throughout the United States, Canadaand the Caribbean Islands to design, implement and manage customized wellness programs. Get access to a limited-time, completely free trial of our wellness portal!